Not much in this hall, still need to install a lamp. On the table a birdcage, flowers, and some letters. And a ship in a display case.. 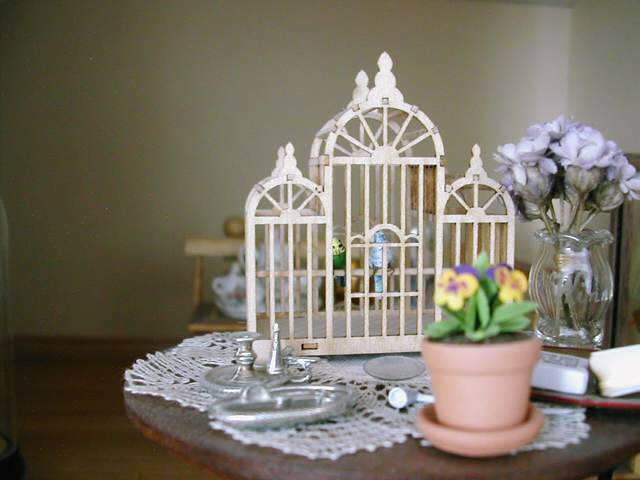 The birdcage, made from a kit. Very thin, lasercut wood. 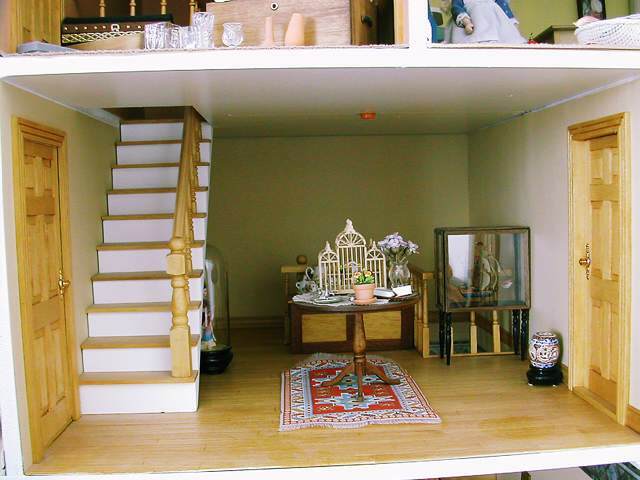 I thought it would be very difficult to put together, but it all fitted perfectly.